Please briefly describe the history of your company? Please briefly describe your company’s sales structure: What do you sell, who are your customers, etc.? BorgWarner Inc. is a global product leader in clean and efficient technology solutions for combustion, hybrid and electric vehicles for the light, medium- and heavy-duty markets. BorgWarner Corporation, the predecessor to BorgWarner Inc., was formed in 1928. Founding companies include Borg & Beck, Marvel-Schebler, Warner Gear, and Mechanics Universal Joint. Today’s company, BorgWarner Inc. is a result of Borg-Warner Automotive spinning off from the Borg-Warner Security Corporation in 1993 and becoming an independent company in 1993. 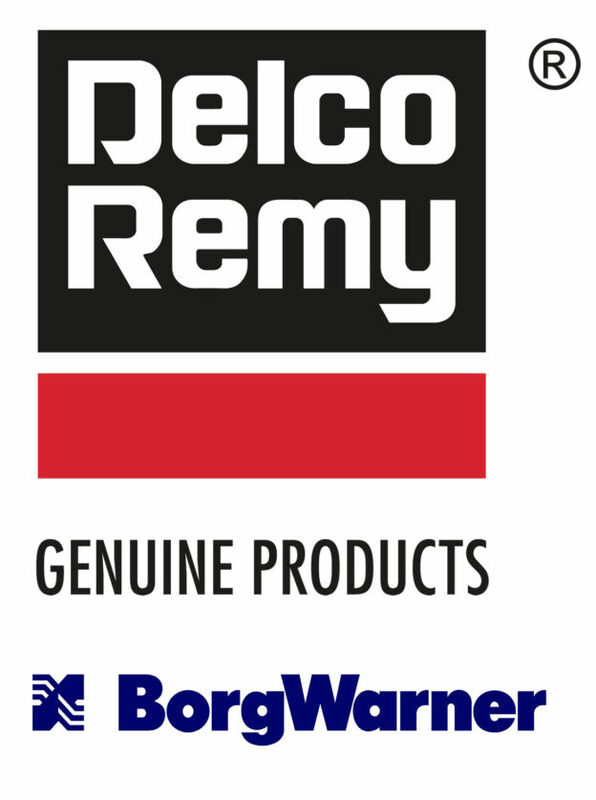 The Delco Remy brand became a part of the BorgWarner family in 2015 when the company acquired Remy International. Today, BorgWarner’s produces and sells Delco Remy starters and alternators for the commercial vehicle aftermarket as well as major truck OEMs. In addition to the Delco Remy brand products, BorgWarner also manufactures and sells fan clutches and fans for medium and heavy duty commercial vehicles. The company sells original equipment (OE) products to both commercial vehicle original equipment manufacturers (OEMs) as well as aftermarket sales through a network of independent warehouse distributors, buying groups, national wide aftermarket companies and OES truck dealers. The company also manufactures products for the transit bus, coach, school bus, and off highway markets. BorgWarner’s customers are local and national truck fleets, owner-operators and other end users. With manufacturing and technical facilities in 66 locations in 18 countries, the company employs approximately 29,000 worldwide. The quality of our products and our coverage in the marketplace. As an OE supplier, all of our products are the same quality as the OE products. They are designed and engineered to OE standards, with the OEs. We work with all the major OEs and we have coverage for 100 percent of Class 7 and 8 vehicles and significant coverage for Class 5 and 6 vehicles. When it comes to mounting configurations, power, service parts, etc. none of our current OE competitors offer the complete line that we do, BorgWarner and the Delco Remy brand offer the most complete coverage in the industry. BorgWarner and Delco Remy brand genuine products are known for offering quality components and product leadership in the heavy-duty industry for the products we design, engineer, and manufacturer. Customer stay loyal to our business because of our product leadership, which was established due to the quality of our products and coverage for the heavy-duty industry. Since we are an OE provider to all major OEMs we have coverage for all Class 7 and 8 vehicles which allows a distributor to stock one brand and cover all of their needs; additionally, the after sales support we provide through product training, our industry leading cross reference tools, literature, and other marketing support is second to none. We also have an entire sales team of experienced, direct sales people covering the U.S. coast to coast that have formed lasting relationships with our customers both at the fleet and distributor level. What is one thing most customers/suppliers don’t know about your company that would surprise/impress them? (i.e., tell us something about your company we don’t know) What makes your company a great place to work? Many people in the heavy-duty aftermarket are surprised to learn BorgWarner is now the parent company for Delco Remy. It’s important to understand Delco Remy has really been a brand and not a company for decades now and that Remy was acquired by BorgWarner to expand our electrification capabilities. The automotive world is in the process of making a major shift to electric and hybrid vehicles and that is a space BorgWarner is a major player in. That technology is coming to the heavy-duty field with more and more components becoming electrified on the truck which makes our components that much more important. 48-volt systems are on the horizon so more components on the truck can be electrified and hybrid or full electric trucks are not that far off either. For these reasons, it makes us a great strategic partner for the heavy-duty aftermarket, we supply todays needs and are in position for our trusted brands to supply the future needs as well. Many people are surprised at all of the technologies BorgWarner offers. If you own a passenger car, truck, or heavy duty vehicle, there is likely BorgWarner content on it. So, don’t just think of us for Delco Remy starters and alternators or BorgWarner K series fan drives, we offer much, much more. A great overview of all of our products can be found here: https://www.borgwarner.com/aftermarket. Last, BorgWarner is a great place to work for several reasons. As a young person, I appreciate that we are not just involved in legacy technology (combustion) but that we are also heavily invested into the emerging technologies of the future (hybrid and full electric); with BorgWarner being involved in these technologies whichever propulsion platform takes off we will be positioned for continued growth. On a personal level BorgWarner is a great place to work because of our amazing health and retirement benefits, the employee focus, and the continuous investments in technology. Without fresh, quality talent we would lack fresh ideas and new perspectives and thus we would slowly start to become irrelevant and uncompetitive. Bringing in the younger generation is key to long term sustained success for any business and is especially important in the heavy-duty aftermarket due to the large number of industry veterans that will be aging out of the industry in the coming years. We work to recruit these younger professionals through industry associations, such as GenNext, as well as through career days and various colleges and related events. We also offer a lot of co-op and intern positions around the globe. Additionally, we have a heavy social media presence for BorgWarner globally to highlight our industry leading innovations, the cutting-edge technology we develop and work with for our business and the culture of our company. It helps people get to know our company. Absolutely. Our focus at BorgWarner is to be the industry leader in propulsion- whether it be combustion, hybrid, or full electric. We are positioned to play in all of these fields so that wherever the future takes us based on varying regulations, customer demands, and industry requirements we can be a dominant player. The most exciting thing about that is our growth will continue to be sustainable and these solutions support a cleaner, energy-efficient world. There’s a lot of technology in the heavy-duty industry that makes it an exciting field to be in but there’s also still many old-school trends that remain and are worth embracing. Most important of those is that relationships still matter. So, take the time to meet people and further your connections and contacts through organizations such as GenNext. People buy from people and the best careers start with a connection, not just a post on a website or an email. The other thing I will share is don’t be afraid to speak up and suggest or help make a change when you see an opportunity. Our industry is full of history and tradition but that doesn’t mean we should be set in our ways. As a young person in the industry you have a different viewpoint and it is important to be knowledgeable of and respect the traditions, but also to suggest areas for improvement and innovation. BorgWarner joined GenNext because it offers a unique opportunity to interact with the young talent within the industry for ideas and strategies that we might not otherwise hear about. It also offers us an organization where we can expose our young leaders to mentorship opportunities as well as to offer the expertise of our seasoned, industry veterans to be mentors to those who are new to the industry. When my branch manager at MHC Kenworth in Dallas, Lynn Harris, pushed me into outside sales. My background was in service as a tech and a service advisor. I admittedly wasn’t a parts person and didn’t think of myself as a sales person either. Lynn forced me to change and experience the best position in the dealership- outside sales. I’m glad he did, otherwise I wouldn’t be doing what I’m doing today. I learned to keep an open mind, try new things, and listen to those that have more experience; all of which are worthwhile lessons for not only work but life. So, don’t be afraid to say “yes” to an opportunity you never thought about. When I went to work for Phillips Industries as a territory sales manager. This took me from working from a distributor/dealer and to working for an OE manufacturer. This position was so valuable because it gave me my start working for a manufacturer in a traveling sales role. Phillips provided a great deal of support and training which really accelerated my growth. Additionally, I learned the importance of selling a quality, top tier, name brand component and how to couple that with building relationships for maximum sales growth. A few years ago I started shadowing Craven Mabrey to begin training me to transition into my national account manager role as he prepared for retirement. The connections were obviously priceless, but the other big thing Craven provided was the history of how the aftermarket developed and how our company and products developed along with it. This insight is important in looking at where we’ve been and where we are headed. I don’t like to do lists because I couldn’t possibly name everyone that’s mentored me during my career but I’ll name a handful as the list overall is long. I’ve had the great fortune to work with a ton of really awesome people. Terry Tosie (my dad), Lynn Harris, Randy Andis, Craven Mabrey, John Minor, Pete Joy, Randy Walker, John Nugent and Bob Phillips. All of them have taught me the importance of hard work, doing the right thing, following through, loyalty, and the importance of relationships among many other things. I wouldn’t be where I am today without their support and mentoring. The best thing about the heavy-duty industry is the willingness to show a new comer the ropes and to develop relationships, regardless of your role or position. Distributor Training Expo just one month away. Sign up today! Only a few distributor spots remain for the 2019 GenNext and Commercial Vehicle Solutions Network (CVSN) Distributor Training Expo, scheduled for April 26-28, 2019, at the Hyatt Regency in Atlanta. Now in its fourth year, this year’s DTE will continue the event’s record of providing, high-quality, valuable supplier-generated product information for independent aftermarket inside and outside sales associates. The DTE also is an invaluable resource for independent operations to keep pace with their dealer and national chain competitors, both of which offer similar programs for their own locations. The event’s Gold Sponsors — who will provide four 40-minute classroom sessions and feature an expanded booth presence at the event — are Automann, Bendix, Eaton, Federal-Mogul Motorparts, Kit Masters, Meritor, Minimizer and Tectran. Silver-level sponsors will host two 40-minute training courses and also will be present during the event’s booth training periods. Silver sponsors are BBB Industries, BettsHD, BorgWarner-DelcoRemy, Dayton Parts, Dorman HD Solutions, Hendrickson, Illinois Auto Truck Co. Inc., PAI Industries, Phillips Industries, SKF, STEMCO, Timken, Triangle Suspension, Truck-Lite, Trux Accessories and WABCO. DTE organizers say each sponsor will bring new and unique training materials to this year’s event. More than 90 percent of the training materials prepared for the event are new in 2019, and organizers add each supplier attending the event is eager to share its newest products and sales tools with the distributor audience. This year’s DTE also will feature a keynote speaker for the second consecutive year. Dr. Albert Bates, known throughout the aftermarket for his engaging presentations at other industry programs, will present “Not Just Sales, Profitable Sales,” a pointed presentation designed to educate distributor attendees on how to ensure every sale is a profitable sale. The event registration fee for distributors is an-inclusive price of $549. This includes airfare to and from the event, hotel accommodations, shuttle service to and from the airport, all meals, the entire training program and all associated training materials provided during the event. When compared to the alternative of no training at all, or the years it would take to receive the same amount of training through on-site supplier events, DTE organizers say the event should be a no brainer for every business in the aftermarket. For more information, and to register for the event, please CLICK HERE. In addition to its preparations for the upcoming Distributor Training Expo, GenNext also has made a number of changes to its board of directors in 2019. The organization says new members to the board are Lucas Deal, Truck Parts & Service; Jenna McGrath, VIPAR Heavy Duty; Adam Pigeon, Royal Truck & Trailer; Nick Tosie, BorgWarner; Amber Warden, Tectran; CVSN Representative Sean Ryan, Point Spring & Driveshaft; and senior advisor Rob Phillips, Phillips Industries. In making these changes, the organization says its outgoing board members are Cory Beeler, Wilson/BBB Industries; Steve Hansen Minimizer; Justin Miller, Heavy Duty Trucking; Jeff Paul, VIPAR Heavy Duty; and senior advisor David Willis, CRW Parts. We thank our outgoing members for their support of GenNext and the independent aftermarket industry. What comes after the DTE? That’s a good question, because GenNext has even more big plans for the remainder of the year. The biggest non-DTE initiative for GenNext in 2019 is its joint effort with CVSN to introduce an industry job board and release video designed to help recruit talent into the independent aftermarket. CVSN has been in production on the latter for nearly a year. When complete, CVSN and GenNext plan to nationally market their recruitment video in an effort to entice talented young professionals to consider a career in our industry. GenNext also will host an industry reception at the 2019 HDA Truck Pride Annual Meeting next month in Orlando and is working to schedule more quarterly educational webinars for its members and introduce an aftermarket podcast series called “Next10.” The organization says it will notify its members of these latter projects as they are released. It’s hard to believe that 2018 is almost over and Heavy Duty Aftermarket Week (HDAW) 2019 is right around the corner. GenNext will be very busy in Las Vegas, and we hope that you and others on your team will have an opportunity to stop by our GenNext Booth during trade show hours. We’d love for you to hear more about GenNext, find ways to get more involved and even pick up some fun GenNext-branded swag! What else are we doing at HDAW? GenNext is again a sponsor of the Leaders of Tomorrow (LOT) reception which will be held from 4:30-5:30 p.m. Monday, Jan. 28 in the Mirage’s St. Croix A&B. GenNext also be hosting the annual No-Limit Hold‘em Poker Tournament at 8 p.m. Wednesday, Jan. 30 at the Mirage Poker Room. Instead of heading to another customer/vendor dinner, save that night to try to outwit your industry colleagues in a real poker tournament. For more information and to buy in visit https://gennexthd.com/poker/. This past October, GenNext hosted a successful In the Hot Seat Panel discussion at VIPAR Heavy Duty’s Annual Business Conference. We will be hosting a similar panel at the HDA Truck Pride Annual Meeting in April. April is also going to be a busy month for both CVSN and GenNext as we once again team up to host the fourth annual Distributor Training Expo (DTE) in Atlanta from April 26-28. With three successful years behind us, we will continue with the same format for 2019, enabling 25 different vendors to train 200 distributor managers, counter personnel and outside salespeople over the course of the weekend. As an added benefit, Dr. Albert Bates will keynote the opening session. We have always sold out this event, and last I checked, we only have one supplier spot open while the individual distributor slots were being reserved at a very rapid pace! Learn more and sign up at https://miregistration.net/gncvsndist/. We also are in middle of our first ever GenNext Membership Drive. Please make sure you register all of the individuals in your company that hope to be part of the industry’s next generation, regardless of their current age. Don’t forget that all individuals at CVSN member companies have full membership access to GenNext with no additional cost. But they have to sign up at https://gennexthd.com/join/ . Finally, and perhaps most importantly — have a happy and save holiday season! We hope you can take a few moments to reflect on the successes of the past year and the challenges that you face in the future. And know that we at CVSN and GenNext are here to help you navigate your company into a more profitable and successful market position.